This Tuesday David Klee will be presenting a technical session entitled ‘Virtual SQL Servers. Actual Performance‘ for the Suburban Chicago SQL Server Users Group. Doors open at 5:30pm and the session starts at 6:00pm! Abstract: Virtualizing your business-critical SQL Servers should not imply that they will run slower than if they were physical. When properly architected and managed, virtual SQL Servers should be equally as fast as their physical counterparts, if not faster. However, if not properly constructed, silent and seemingly random performance killers can strike and significantly hurt your database performance. This session is packed with many tips and tricks gained from years of experience for getting the most performance from your virtual SQL Servers. The major roadblocks to performance will be discussed and the knowledge gained will help you work with your infrastructure engineers so you can optimize the system stack for performance. Tools, techniques, and processes will be demonstrated to help you measure and validate the system performance of the key components underneath your data. 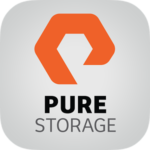 Our friends at Pure Storage are sponsoring this event as well, so if you have any infrastructure administrators that have questions about some of the fastest storage on the planet, or want to know infrastructure questions related to SQL Server virtualization, make sure to invite them! Bring your questions, as he won’t leave until all questions are answered! RSVP for this event here.